NEW YORK / TORONTO (April 10, 2018) – Hulu, the National Hockey League Players’ Association (NHLPA) and the National Hockey League (NHL®) today announced a new partnership in which Hulu becomes an official sponsor of the NHLPA and the NHL for the entirety of the 2018 Stanley Cup® Playoffs and Final. The comprehensive partnership features a national marketing campaign for Hulu across all League touchpoints including NBC Sports, the NHL’s digital and social channels, as well as camera-visible, in-stadium inventory within all U.S. venues. To celebrate opening night of the 2018 Stanley Cup® Playoffs, Hulu will also be sponsoring the NHL’s 2018 Stanley Cup® Playoffs Party held in Las Vegas on April 11. The “2018 Stanley Cup® Playoffs Party featuring Logic and presented by Hulu” will be free and open to fans outside T-Mobile Arena in Las Vegas at 5 p.m. PT. Hulu will also create a custom hockey collection within the Hulu experience throughout the Playoffs helping drive tune-in for the Stanley Cup® Playoffs. In addition, Hulu will serve as the presenting partner of NHL.com during the Playoffs. As part of the agreement, Hulu has also partnered with the National Hockey League Players’ Association to create a number of video vignettes that will showcase some NHL stars and help drive awareness for Hulu as a streaming option for the 2018 Stanley Cup® Playoffs. The video vignettes, featuring Dustin Brown of the Los Angeles Kings, Brent Burns of the San Jose Sharks, John Carlson of the Washington Capitals, Taylor Hall of the New Jersey Devils, Ryan Johansen of the Nashville Predators, William Karlsson of the Vegas Golden Knights, Phil Kessel of the Pittsburgh Penguins, Nikita Kucherov of the Tampa Bay Lightning, Brad Marchand of the Boston Bruins, and Blake Wheeler of the Winnipeg Jets, will celebrate the excitement of the 2018 Stanley Cup® Playoffs. 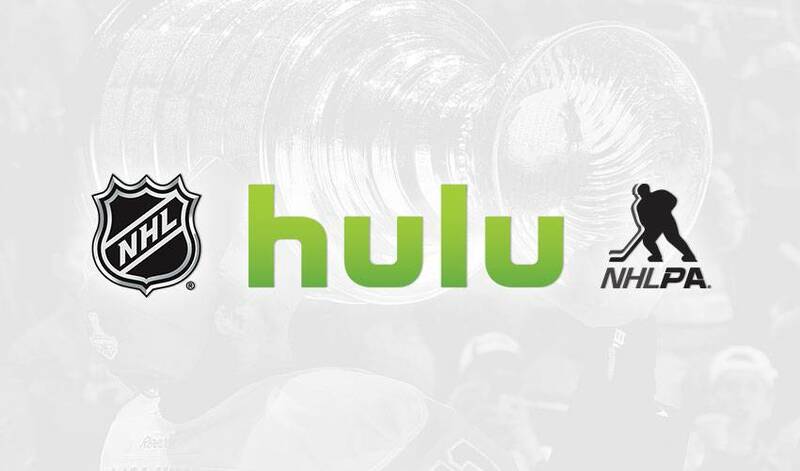 The collaboration with Hulu also includes integration within all NBC broadcasts with on-air presenting sponsorship of NBC Sports’ NHL Live pre-game show for the Stanley Cup® Playoffs as well as integration within the broadcast opening. The 2018 Stanley Cup® Playoffs get underway on Wednesday, April 11. For the seventh consecutive year, every Stanley Cup® Playoffs game will be presented nationally across the platforms of NBC Sports Group and select NBCUniversal networks. During April, May, and June, NBC Sports Group will televise as many as 105 Playoff games and possibly more than 260 hours of programming.